Inheritance powder, the poisoner’s poison, these are just a few of the names given to thallium because of its history as a criminal poison. Some have even gone so far as to dub it the “perfect poison,” but more on that later. It’s rather surprising to me that the discovery of thallium occurred so recently. Of the 118 known elements, thallium was the 62nd to be discovered, ahead of just most noble gases, rare earth metals (lanthanides), and radioactive metals (actinides). Thallium is literally everywhere, and most abundant in the Earth’s crust, but even found in sea water. 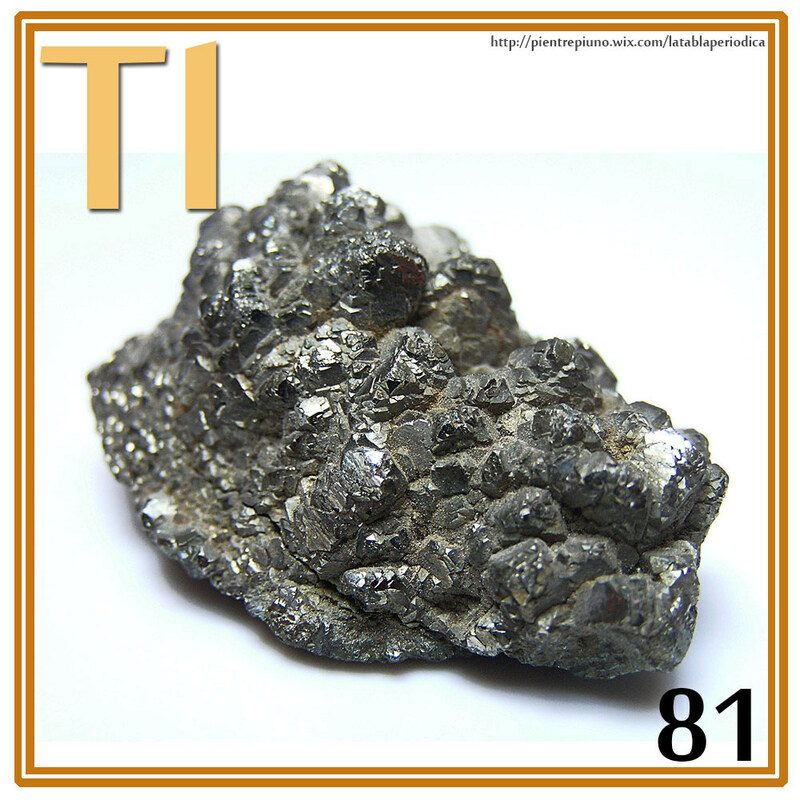 From a production standpoint, thallium is isolated from copper, lead, and zinc ores, to the tune of 10 tonnes per year. There’s even a deposit in Macedonia that is estimated to hold 500 tonnes. So why my surprise at its “late” discovery? You ever heard of thorium? No, it’s not what Thor’s hammer, Mjolnir, is made of. Unless you’re into welding or nuclear power plants, you likely haven’t, but it was discovered in 1828, 33 years before thallium. None of this really matters, of course. What matters is the applications of thallium. Its toxicity was quickly established, and found widespread use as an insecticide and rodenticide. But because the poison was indiscriminate, and also affected growth of plants, the use of thallium salts was banned throughout much of the world in the 1970’s. Until then, however, getting your hands on thallium was relatively easy, and you only had to go to your corner store or pharmacy to procure it. Throw in the fact that it is odorless, tasteless, readily dissolves in water, and as little as one gram can kill an adult, and you’ve got yourself a pretty good poison. If you’re a twisted individual that wants to watch someone suffer greatly before death, thallium might just be your poison of choice. * Delays in symptoms is often advantageous to the poisoner, as it gives them a chance to travel out of town, or create some other good alibi. ** Poisoning is personal. It’s not sudden or impulsive, rather it needs to be planned, so the poisoner may wish to see their victim suffer. The toxic mechanism of action is one of chemical trickery. Thallium, in its monovalent state (Tl+), such as thallium(I) sulfate or thallium(I) acetate, mimics monovalent potassium (K+) in biochemical processes, like in the sodium/potassium-pump (Na/K-ATPase). Thallium and potassium in the +1 state have similar ionic radii of 1.6 and 1.4 Å, respectively, and the body is incapable of distinguishing between them. Therefore, any process that depends on potassium, thallium can insert itself: NA/K-ATPase, activation of enzymes, even insertion into our ribosomes. Thallium also interferes with energy production during glycolysis, oxidative phosphorylation, and the Krebs cycle, siphoning the body of fuel. Like most drugs and heavy metals, thallium accumulates in every tissue in the body. With a long half-life of days to weeks, symptoms persist and treatment is difficult. Currently, treatment consists of the chelator Prussian Blue, which hastens the removal of thallium from the body. Additionally, forced diuresis to flush thallium into the urine, and potassium loading to replace thallium, has been used. There’s really not a lot to do, especially if one has been subjected to massive amounts of thallium. A lot of supportive care and waiting. On the plus side, detection of thallium isn’t difficult. In our postmortem toxicology laboratory, we would screen for thallium in liver using the old, reliable Reinsch test. Developed by chemist Hugo Reinsch in 1841(! ), liver homogenate is acidified with hydrochloric acid, then a copper wire dipped into the solution. A dark coating on the wire indicates the presence of antimony, arsenic, bismuth, selenium or thallium, and a silvery coating is indicative of mercury. Confirmation by inductively coupled plasma mass spectrometry (ICP-MS) nails exactly which heavy metal is present. I don’t have an ICP-MS in my lab because 1) my state doesn’t want me to be happy, and 2) we really don’t have that many heavy metal poisonings, by either accident, suicide, or homicide, to justify purchasing one. Reno Skyline by Andrew (CC BY-ND 2.0). Where I went to grad school. 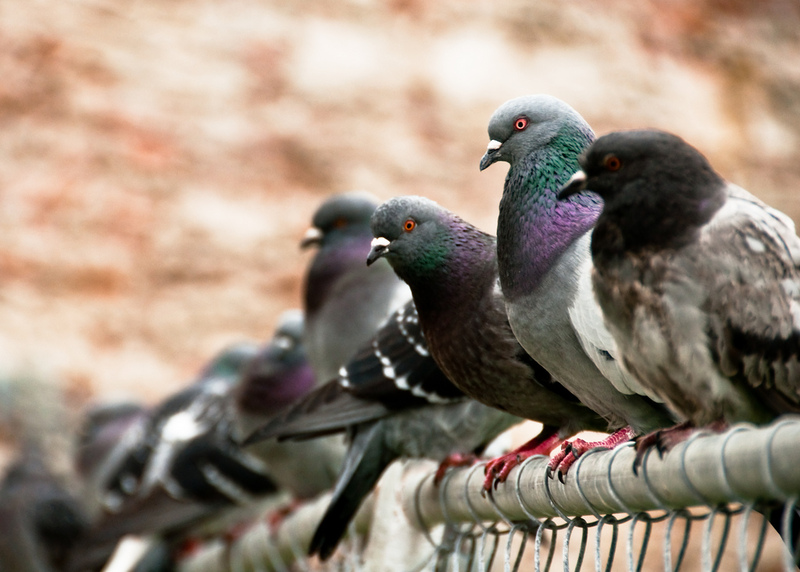 I hate pigeons too – rats with wings – but even I knew this was bad. A roof full of dead birds would attract someone’s attention, and could eventually get traced back to our lab, creating a headache for my advisor. I had a few options at that point: let it go, tell another student, tell my advisor, call INS. But instead of those, I went to our long tenured postdoc, who had been there at least 15 years. I figured the only person that could talk sense into a crazy German was an angry Bulgarian. I was right, of course. Besides a walk down memory lane, this story also serves another purpose: Who makes a good poisoner and what makes a perfect poison. People often joke that I’d make a great poisoner, which may well be true, but know what else I’d be great as? A suspect. Someone with the ability and means to acquire and deliver a poison by default has to be a prime suspect. A better poisoner is one with a little bit of knowledge, and a low profile. As for the “perfect poison,” there really isn’t one, because if it was perfect, we wouldn’t know about it would we? And I sure wouldn’t tell you…or would I? Thallium as a poison had it’s heyday in the early-to-mid 1900’s, yet gained even more international attention when Agatha Christie*** used it as a means for murder in her 1961 mystery novel The Pale Horse. There has even been a small resurgence in the last 30 years, with some high profile cases. But we know about them because the poisoner was caught, so a perfect poison, thallium is not. It is easy to diagnose and detect, and limited availability today narrows the suspect list down considerably. The bad news, dear readers, is that you are all now trained in thallium as a poison. Make sure you add it to your resume for when the police call you in for questioning. 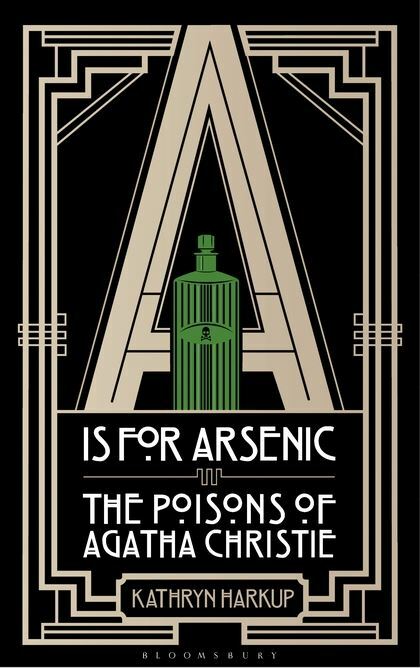 *** For what is sure to be fun and informative (I’ve read a few chapters), check out A is for Arsenic: The Poisons of Agatha Christie, by Kathryn Harkup available September 10th, 2015. Galván-Arzate, Sonia, and Abel Santamarı́a. “Thallium Toxicity.” Toxicology Letters 99.1 (1998): 1-13. Tsai, Yu-Tai, Chin-Chang Huang, Hung-Chou Kuo, Hsuan-Min Wang, Wu-Shiun Shen, Tung-Sheng Shih, and Nai-Shin Chu. “Central Nervous System Effects in Acute Thallium Poisoning.” NeuroToxicology 27.2 (2006): 291-95. Tags: Agatha Christie, heavy metal, poison, poisoning, thallium, The Pale Horse, William Crookes. Bookmark the permalink. Somehow calling a highly refined element “natural” seems to me to stretch the definition. Thallium was briefly thought to be the culprit in the Alexander Litvinenko case, before it was found to be polonium-210. Polonium-210 was not a perfect poison either, leaving trails around London. Not that that helped poor, brave Litvinenko. There’s a good wikipedia entry on the case, if anyone wants more info. I questioned the “naturalness” of Thallium, too. However, this post was just as interesting as the others, so I’m not complaining!